This fabulous coffee shop is in Alexandra Park, Edgeley by the Bowling Green, open Saturday and Sunday. Sells lovely fresh coffee and bacon rolls. 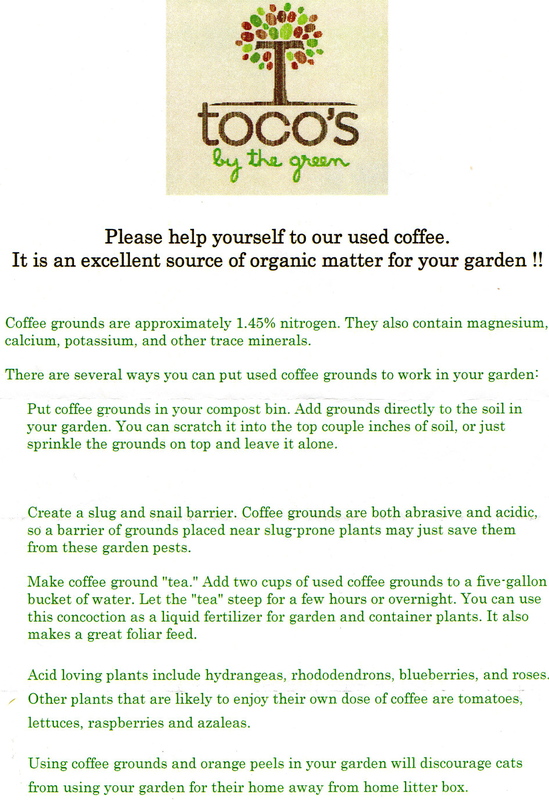 This entry was posted in Allotments, Free stuff, Organic gardening and tagged coffee grounds, organic gardening. Bookmark the permalink.